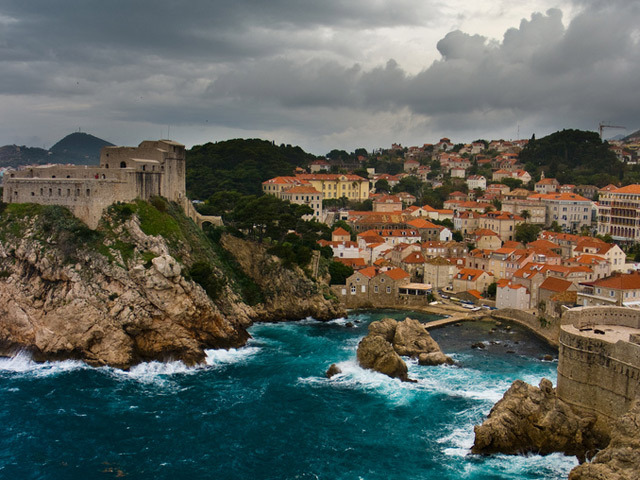 Dubrovnik, Croatia, where HBO’s Game of Thrones films scenes of King’s Landing. Photo by Víctor González/Flickr. This post includes spoilers from season 4 of Game of Thrones. KING’S LANDING, West. – King Tommen of House Baratheon has signed a decree that will work to make King’s Landing the most sustainable city in the Seven Kingdoms. The decree shocked many, as the capital city has long faced problems with waste management and pollution. The king has asked his small council to create a Sustainable City Working Group to spearhead the efforts. First on their list: better the living conditions of the communities located outside the city walls. City officials will work to improve sanitation in these settlements and ensure residents have access to clean water. 20,000 gold dragons have also been allocated to repair existing living quarters and build new dwellings in Flea Bottom, one of the poorer areas of the city. The city is recommending that residents purchase additional rushes to better insulate the floors of their home. Air pollution is another ongoing health issue in King’s Landing, with smoke from the many cook fires clouding the sky around city. Many have expressed concern that now that winter is coming, the pollution will only get worse. The decree also focuses on reducing food waste, and the Working Group will explore ways to reuse waste from royal events. With another food shortage in sight, preventing starvation will help the city avoid more riots. The City Watch will work to improve mobility in the busiest areas of the city. During tourneys and other events, the city is often overrun with visitors, creating congestion in the streets and squares of King’s Landing from pedestrians, horses and carts. To reduce equestrian traffic, each horse stabled in the city will be assigned a number, with odd-numbered horses assigned to “Odd” days, and even-numbered horses dedicated to “Even” days. The small council has decided to rely more on ravens—rather than riders—to send out messages. Copyright © Jeffrey L. Ward / Bantam and or Random House, Inc.
After the Battle of the Blackwater several years ago, the city has struggled to contain the wildfire that still coats the shore by the mouth of the Blackwater Rush. Hundreds of sea birds and fish washed ashore in the months following the battle, and communities bathing in the river have reported skin irritations and rashes. King Tommen acknowledges the public’s concerns about the feasibility of the plan, but is confident that King’s Landing will be a model of sustainability for years to come. Happy April Fool’s Day! This year, we’re taking a look at the fictional city of King’s Landing from the popular book series “A Song of Ice and Fire” and the HBO series “A Game of Thrones” to see what a sustainable city would look like in the kingdom. To learn more about the city where the show is filmed, take a look at this behind-the-scenes video.